I could not be more excited about every game this season, as much as being in the Premier League was so fantastic, as it was the time before, being in a league where you are one of the favourites fills me with excitement. Firstly, Nigel Adkins. Personally, I think he is a fantastic manager, always have done. It was sad to see Brian go at the back end of last season, but Nigel has already got us playing some exciting football. We are now playing the game as it should be played, in my opinion, and Nigel Adkins is a manager who really emphasises that philosophy at every club he manages. He’s done ever so well to bring in some top players, Drenthe, Williams and Bridge, who really add quality to the side. Arguably, our squad is stronger now than it was last season! The first two games were nothing but positive in my view. 60% possession in both, how often do you see that from Reading!? Pre-season made me wonder a bit about what could be in store for us, but Adkins persistence to make it clear the results didn’t matter reassured me. When it came to Ipswich at home I knew it was going to be a tough season from the start as Mick McCarthy has a very strong squad there and I think they’ll have a good season. First half we seemed a little rusty, but as we grew into our game second half we produce some real quality football, and in the end a fantastic result. Bolton, however, was a different kettle of fish. They are always a strong, physical side, and Freedman has brought in some real quality this summer, and I knew it would be a real test. I thought we did ever so well, first half again was a little slow but second half we really took the game to Bolton, and in recent years its been rare for a Reading team to go away from home and really take the game to our opponents. I think that Watford tomorrow will be a very interesting game, but I fancy us after the first two games, and although Watford have started well you could argue they haven’t had the toughest of tests yet. 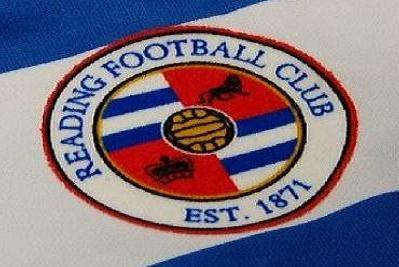 Hopefully before the window closes we can sign a striker as I think all Reading fans would agree one is needed. As far as players out, I would be happy to offload the likes of Gorkss, Leigertwood, McAnuff and Pogrebnyak, but we will see who stays and who goes. It’s been really positive change for me at the club so far, and the prospects of a really exciting future this year under Nigel Adkins. It all continues this Saturday at the Madejski against Watford, and I can’t wait.